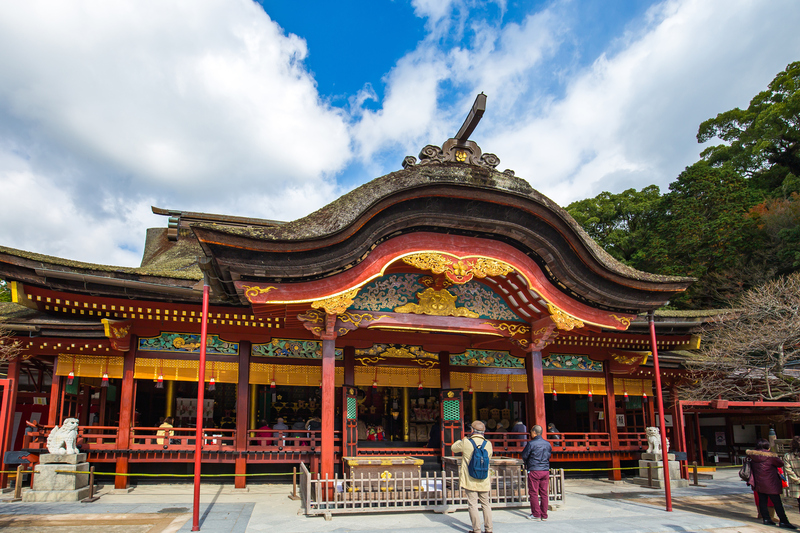 Located in the northernmost part of Kyushu, Fukuoka Prefecture is rich in temples and shrines. The landscape ranges from beautiful sandy beaches to lush green mountains. Bustling cities coexist with small countryside towns. Its capital, Fukuoka city, is Kyushu’s largest city. Its skyscrapers are reminiscent of Tokyo, but it also features peaceful streets lined with temples and beautiful parks. The most distinctive trait of Fukuoka is probably yatai, mobile food carts once used all over Japan that now only survive in this city. Yatai are set up every night and are gone by the next morning. 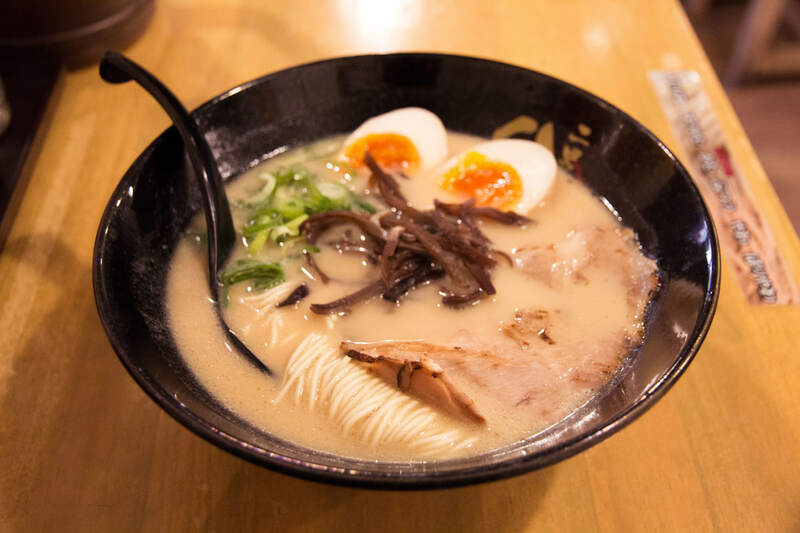 One of the most famous dishes, Hakata ramen, is a pork bone-based soup with thin noodles. Fukuoka’s yatai food stalls are also known for mentaiko and motsunabe, along with other staples such as oden and yakitori. Travel through space and time at Fukuoka’s castle ruins. Quietly standing inside Maizuru Park, some of the castle walls, buildings and gates dot the landscape in a spectacular contrast with the skyscrapers in the distance. Right next to Maizuru Park is Ohori Park, an oasis of relaxation for both inhabitants and visitors to Fukuoka. 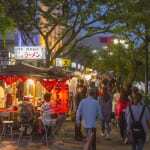 Head to the Kawabata Shopping Arcade by the Naka River and immerse yourself in the hustle and bustle of people going about their daily shopping. 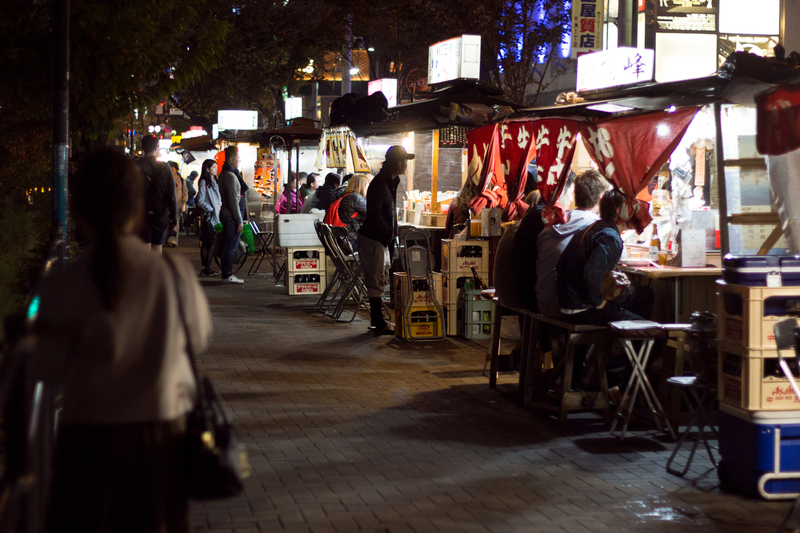 Try local products, shop for souvenirs, and just breathe in Fukuoka’s atmosphere. Fukuoka Prefecture is home to many religious establishments. The city of Dazaifu, once the administrative center for the island of Kyushu, is now a quiet town dotted with ancient shrines and temples. Dazaifu Tenmangu Shrine is the most famous among them. North of Dazaifu is Sasaguri, an even quieter town surrounded by green mountains. Sasaguri is home to the Kyushu University Fukuoka Research Forest. The Kamata pond found inside the forest is famous for a grove of bald cypresses that seem to float in the water. Very scenic and peaceful, it is a popular spot among nature and photography lovers. 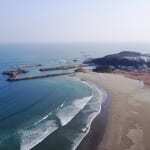 At the westernmost part of Fukuoka Prefecture is a small piece of coast where time slows down. The Itoshima Peninsula is Fukuoka’s little secret. It rewards those who discover it with beautiful beaches, exquisite food and peaceful sunsets. Here relaxation takes over people’s everyday problems. 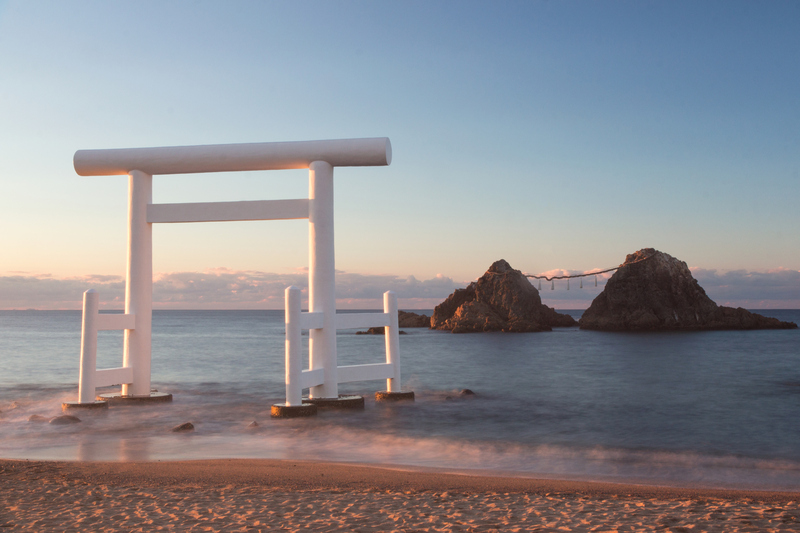 A famous spot in Itoshima is Futamigaura Bay, where a torii gate and two wedded rocks stand in the sea, making for gorgeous sunset views. The Itoshima Peninsula offers a real treat in winter when kakigoya, literally “oyster huts,” pop up to serve the freshest oysters. Delicious oysters are sold by the kilogram, and patrons grill them at their own table. The huts also serve other freshly caught seafood. Omuta city stands on the southern coast by the Ariake Sea. It hosts a former coal mine and a family of katana swordsmiths. Here you can try tameshigiri, the art of testing swords by using them to cut a target. Omuta is also popular for its sweets. 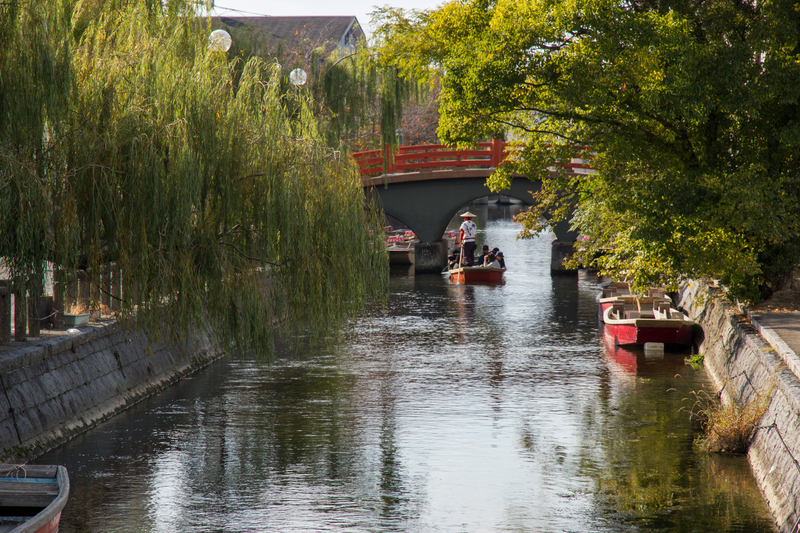 Yanagawa is a small bucolic town in the south of Fukuoka Prefecture. Once a castle town, it’s now a quaint and scenic destination where visitors can ride small boats called donko-bune along the town’s narrow waterways. Yanagawa’s traditional dish Unagi no seiro-mushi is a bowl of rice mixed with sweet sauce, topped with juicy steamed eel and thinly sliced egg. In this area is also Yame, famous for its hillside tea plantations. The forested, mountainous Yame region of Fukuoka Prefecture has been producing tea for centuries. The story goes that Buddhist monk Eirin Shuzui brought tea seeds and growing methods here from China in the early 1400s. A bronze statue of Shuzui (with tea seed in hand) stands outside Reiganji, the temple he founded in the area around the same time. Yame is particularly renowned for its gyokuro tea (translated as “jade dew” or “pearl dew”), one of the highest grades of tea in Japan. 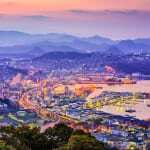 Kitakyushu is the northernmost city of Kyushu. This is the point of connection between the islands of Honshu and Kyushu, and it has been an important port for international trade. Moji Port features well-preserved Western-style architecture including the recently renovated Mojiko Station, while Kokura Castle offers panoramic views of the city and comes alive in spring with blooming cherry blossoms. Fukuoka Prefecture offers the same urban adventure and excitement that draws visitors to Japan’s major metropolises, while captivating cultural and historical treasures await at every turn.